UK-based higher education ranking QS revealed the Emerging Europe and Central Asia – EECA Universities Rankings. 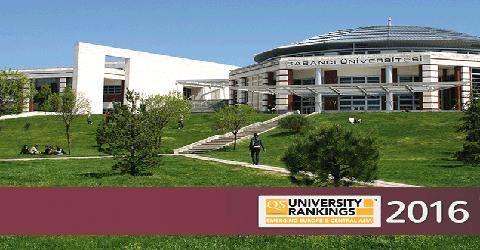 Sabancı University gained one position compared to last year and became 13th among the “Top 200 Universities." 16 Turkish universities were included in the “Top 150 Universities” list compiled last year, but this year’s edition revealed 20 universities from Turkey in the top 200. Also included in the rankings were Boğaziçi University in 9th place, Bilkent University in 12th, METU in 14th and Koç University in 16th place.